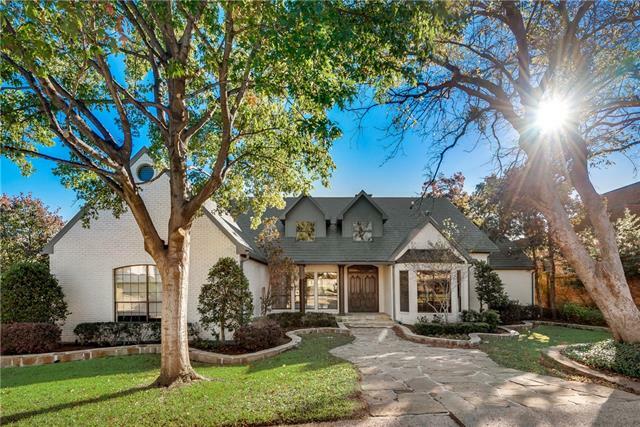 All Irving homes currently listed for sale in Irving as of 04/21/2019 are shown below. You can change the search criteria at any time by pressing the 'Change Search' button below. If you have any questions or you would like more information about any Irving homes for sale or other Irving real estate, please contact us and one of our knowledgeable Irving REALTORS® would be pleased to assist you. 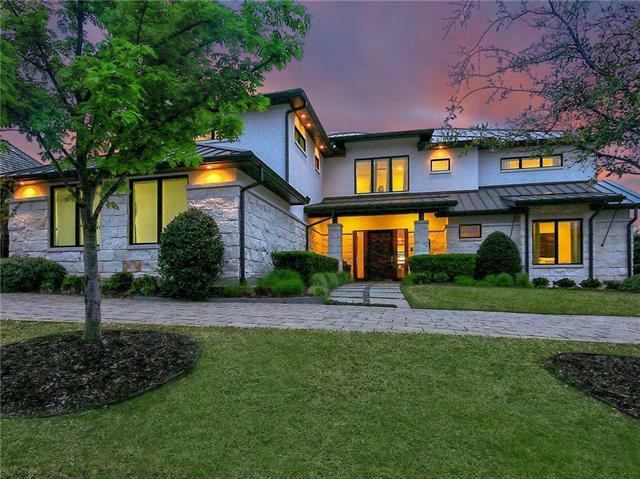 "Beautiful contemporary in gated & guarded Cottonwood Valley on 15th tee box. Home was built for large family or friends with 7 ensuite bedrooms & nursery. Master bedrooms on both floors with second floor master having a separate coffee bar & access to nursery. Room for an elevator. Original owners planned on a pool & designed home with full pool bath accessible from patio. Outdoor grill & large covered patio great for entertaining! Kitchen is a dream with Wolf & Subzero, dual dishwashers & over"
"THE VIEW! 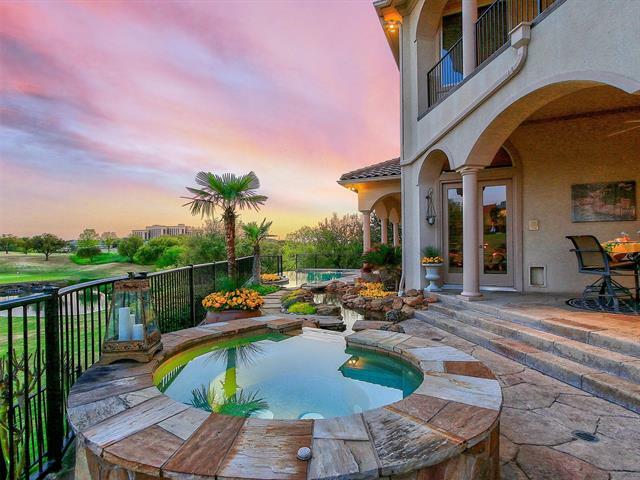 Rare double lot on TPC Four Seasons Las Colinas course with incredible views! VR Tour available in MLS Links. 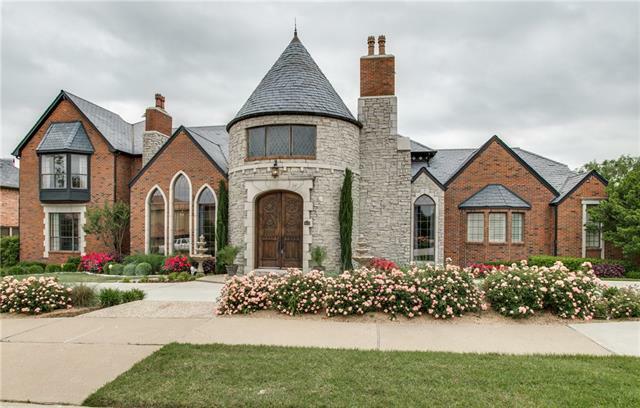 Original owner is selling this magnificent Estate! This 3 story home features 2 Masters, separate exercise room, incredible 2 story study, dramatic formal dining with 2 climate controlled wine cellars, elegant formal living with fireplace, large open plan kitchen & living, separate wet bar, downstairs gameroom & 3 car garage. 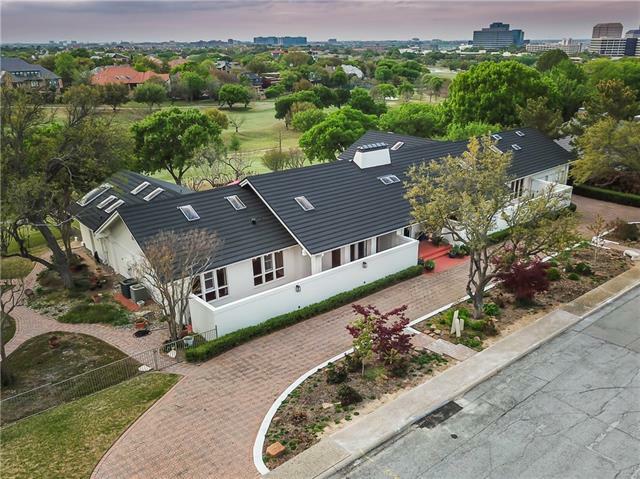 Owner has cultivated English style gardens in the ba"
"Located on the Signature 17th hole of the TPC Four Seasons Golf course, this home is offered by the original owners. Beautiful light home with open design perfect for relaxing or entertaining. More than 180 degree view of the course from the back of the home. Incredible Master suite with an infinity view from the pool to the pond on the 17th fairway. Master bath features dual closets, dual toilets and heated floors. Private study with access to back patio. Upstairs are three large guest suites e"
"Magnificent custom home overlooking the 15th green of Cottonwood Valley golf course at the Four Seasons Golf and Sports Club. 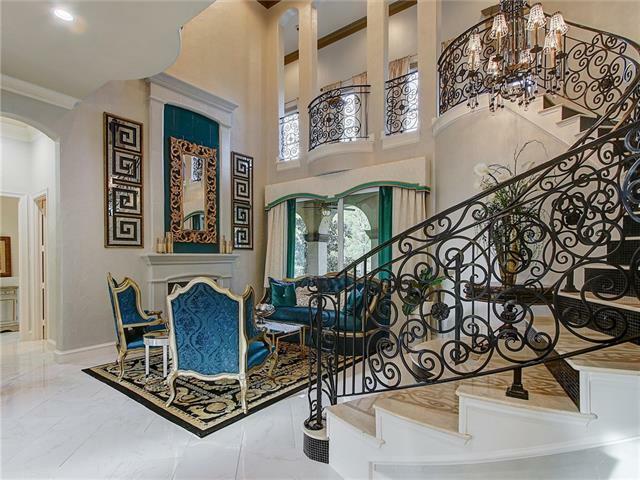 Grand entry with elegant staircase that wraps stunning electric crystal chandelier that lowers for cleaning. The gourmet style kitchen equipped with Viking appliances has 4 burner gas stove & griddle, double ovens, warming drawer, dual dishwashers and a huge walk in pantry. See through fireplace separates the kitchen from the family room that has floor to ceiling window"
"Imagine the Possibilities! 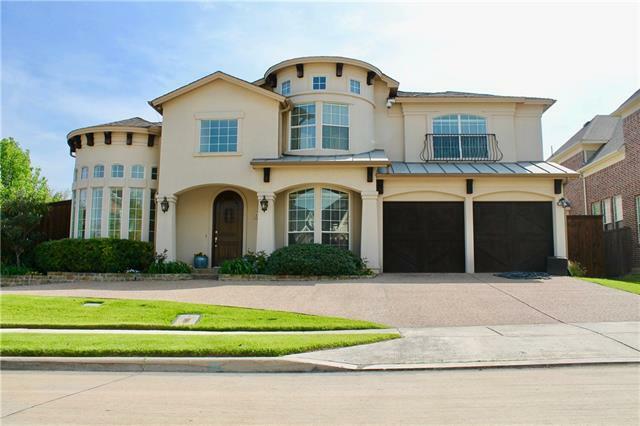 This 5 bdrm, 5 & two half bath home rests comfortably in The Enclave Las Colinas. The classically styled entrance reveals a fresh,chic & sophisticated modern interior,fr the impressive Restoration Hardware Chandelier,to the grand floor-to-ceiling windows. Each detail is thoughtfully & artfully achieved, including exclusive Ronald Redding & Schumacher hand painted embossed wallpaper,custom Italian inspired iron railing,& Italian marble throughout. 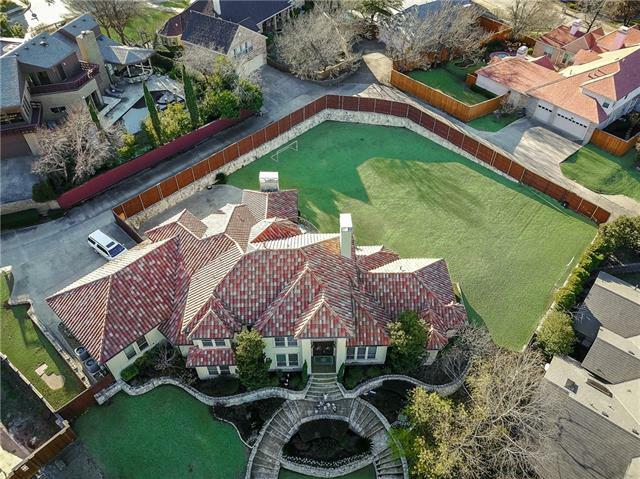 Entertainers dream wi"
"Stunning golf course home located on one of the highest points in Dallas County. Incredible views. Gorgeous back yard with pool, spa, outside kitchen with separate spa and fire pit. Beautiful layout with privacy in backyard but incredible views from the balcony which spans the entire width of the home to maximize the panoramic vistas. Too many updates to list but I am sure you will be impressed! LED lighting throughout the home by Illuminations by Greenlea. 1000+ square feet under house storage." "Elegant Custom Mediterranean. Imagine living in a sought after gated, guarded, golf community just minutes from the Four Season Resort w all its amenities. With beautiful landscaping & balconies, it has spectacular curb appeal. 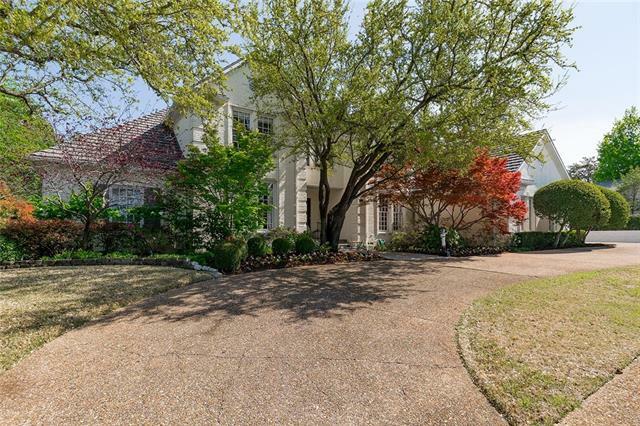 A dramatic 2 story entry & living room, large kitchen w top of the line SS appliances & adjacent breakfast area, coffered ceiling family room w access patio, & master bedroom or study w up-dated bath are on the 1st floor. 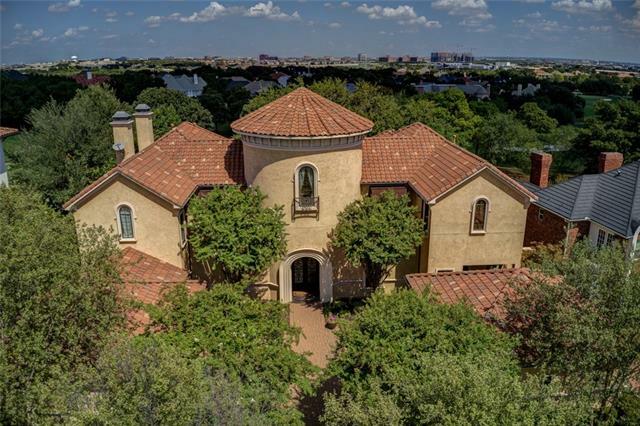 Upstairs is a master bedroom suite, 5 add'l bedroo"
"Spectacular Mediterranean home located on the 16th hole of Cottonwood Valley across the from the Four Seasons Resort and Club in Las Colinas. 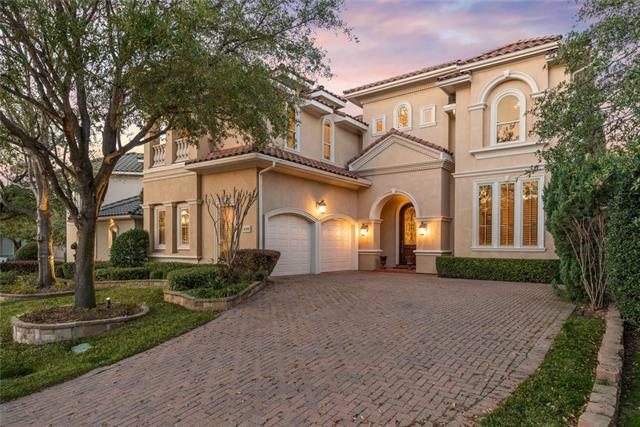 Built in 2006 in an exclusive gated community with a four car garage, pavestone driveway, clay tile roof, three fountains and new zoysia grass in the front yard. Beautiful kitchen with stainless steel Viking appliances including 6 burner gas cooktop will be especially appreciated by the chef in the house. Make sure to check out large room on 3rd floor wi"
"Check out 3D virtual tour in links! 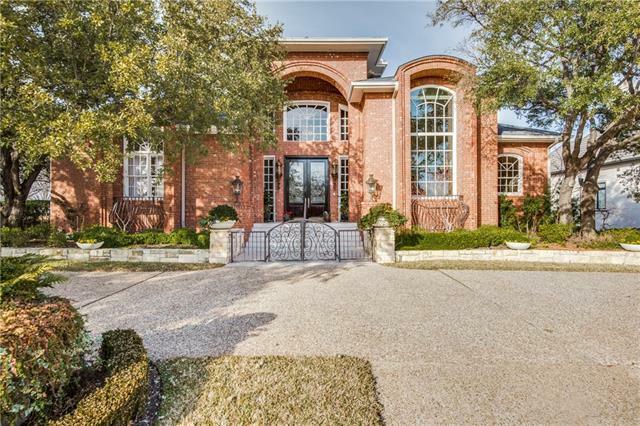 Beautiful executive home in gated Fairway Vista. Closest community to the Four Seasons Resort & Sports Club & all its amenities! Enjoy entertaining in the open design living & chef s kitchen with Thermador and Subzero appliances. Two dishwashers! Climate controlled wine cellar is featured in the formal dining room. Large downstairs master with steam shower is a welcome retreat. The backyard oasis has mature landscaping to ensure privacy. Beautiful outdoor "
"Customize your backyard in this Mediterranean style custom home in gated & guarded Fox Glen! On a quiet cul de sac facing golf crse, find gorgeous hardwoods & finishes thruout. Immerse yourself in spacious open living & find yourself walking into larger than life backyard w covered patio, built-in grill & gated entry perfect for entertainer's paradise. Kitchen boasts huge center island w granite, water filtration systm & Scotsman ice maker. 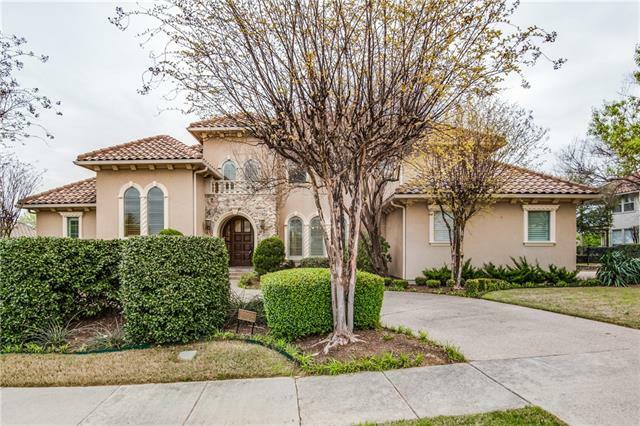 Spacious master suite has spa w jetted tub & custom WI "
"FABULOUS HOME ON 16TH FAIRWAY OF LAS COLINAS COUNTRY CLUB! Spectacular Views! POOL, SPA, 745 sqft CASITA! Absolutely Gorgeous Updated Kitchen featuring 12' granite island, upscale appliances, hardwood floor & expanse of glass looking out to phenomenal backyard setting. " "Beautiful Transitional - Mediterranean style golf course home overlooking the prestigious Cottonwood Valley Golf course. Located in the Cottonwood Valley community across the street from The Four Seasons Resort and Club with all the amenities you would expect a luxury facility to have. Five bedrooms with master and guest suite down. Home has primarily Travertine stone flooring, with an open floor plan. This home has been meticulously maintained by one owner and is move-in ready. Best location in"
"See this house in 3D! Link in MLS. Striking home on lush greenbelt. 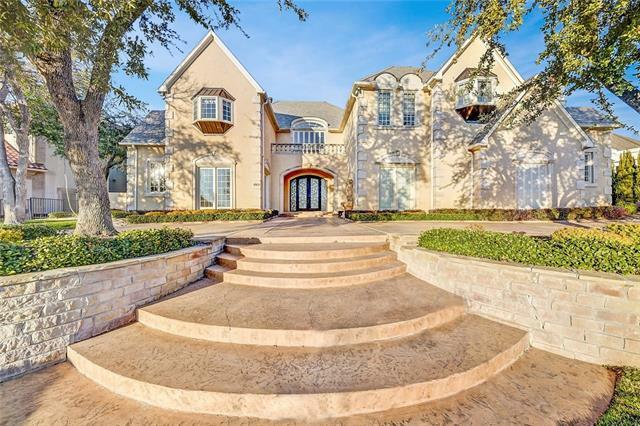 Original owners are selling 4 bed, 5 living home in gated & guarded community at TPC Las Colinas. Recent updates include marble heated floors thruout much of downstairs, elegant glass beaded wallpaper in Master Suite & fresh paint thru downstairs. 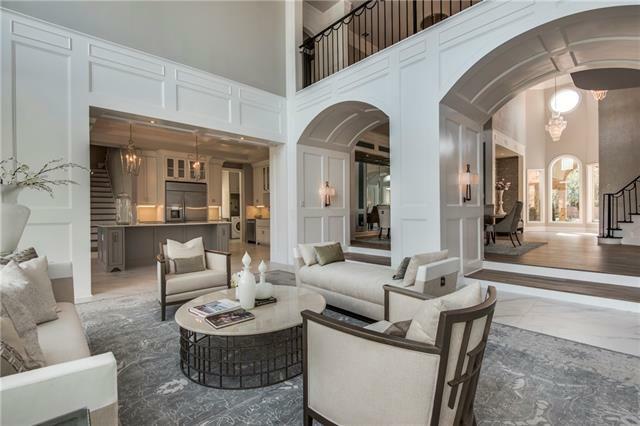 Other unique features include curved staircase, coffee bar in Master, 5 fireplaces, decorative wine cellar, study & private patio, media room & upstairs kitchenette. 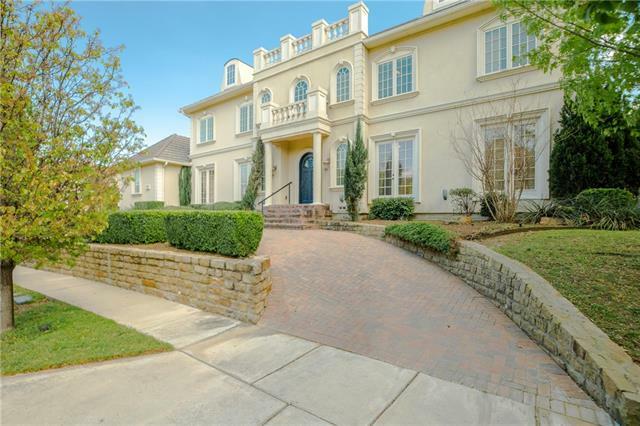 Each guest room ha"
"Elegant French traditional custom home located in the prestigious gated community, the Enclave at Windsor Ridge in Las Colinas. The home is located on the 17th tee box of the TPC Four Seasons Golf Club and Resort. First floor master suite features gas fireplace, jetted tub, and direct access to back garden. First floor also boasts study, formal dining, second bedroom, and large kitchen opening up to expansive family room! Home features two staircases leading to the game room, media room, and fou"
"Custom built home in exclusive 24hr gated community of Fox Glen. 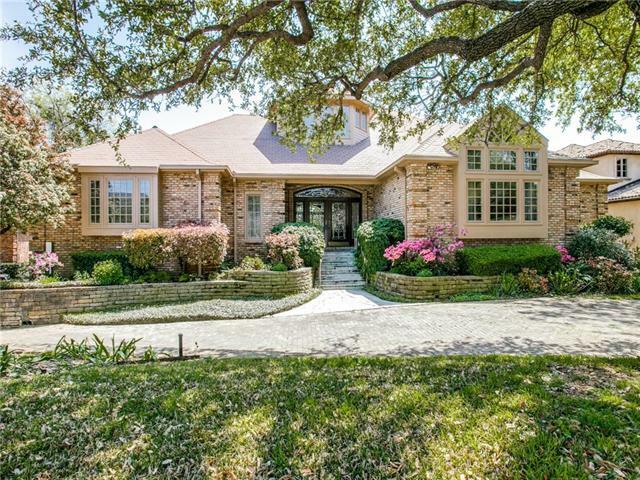 Home is situated on half acre golf course lot with scenic views of the golf course! Special features include a wooded study, charming sun room, large family room with WBFP, built-ins, and large windows that let in abundance of natural light and panoramic views. Master suite includes fireplace with sitting, MB with built-in dressers, huge walk in closets. Solid core doors throughout, cedar closets, extra storage rooms, backyard balc"
"Stunning golf course home with fantastic updated kitchen, dramatic open living room with high ceilings, beautiful hardwood flooring. Three bedrooms on the first floor, including the master bedroom. His and her bathroom design in the master bathrooms. Metal roof with gerard system, architectual design is very nice. Three car garage with front entry. Available for immediate move in." "beautiful Mediterranean home with wide gate entry and west facing with beautiful sunlight. Built on almost 1.5 acre huge double lots with duck pond and fruit trees. 4 bedrooms, 3 full baths and 2 half baths, plus a study, dinning room, sun room, utility and 2 detached storage units. Guest house with full bath, kitchen, dining, closet and utility. Granite counter tops, hardwood and mosaic like tiles in the living area. Oversized garage, storage and several covered patios in back. 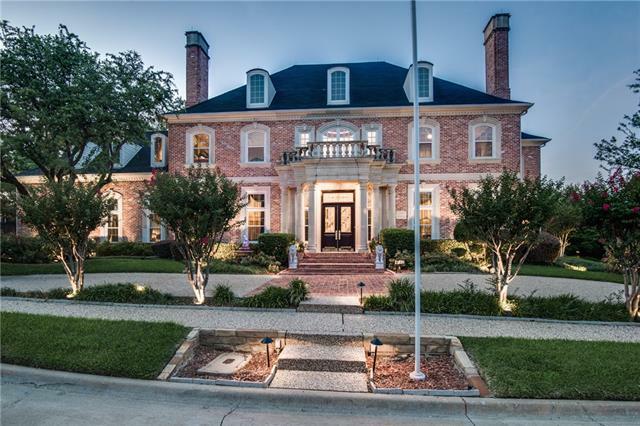 Separate small r"
"Magnificent French Provincial home located in the heart of the Metroplex. Commanding presence as you approach the home. Enter to a grand foyer with Corinthian columns, marble flooring & exquisite artwork. Impressive crown molding & high-quality solid hardwood flooring demonstrates the elegance of the home. Over 7000 sf., perfect for entertaining. Meticulously maintained w numerous updates; high-quality 8 ft privacy fence, pavestone backyard, whole house intercom; 3, 6.1 Dolby surround sound syst"
"Mid-Century Modern Golf Course property located on over .5 acres with panoramic views. Newly updated property is nestled within the highly sought after University Hills Subdvision of Las Colinas. Minutes from airport, and uber close to award winning Toyota Music Factory, dining, and entertainment. Heavily treed community with dramatic topography make this a one of a kind magazine quality property. Open concept living perfect for entertaining with floor to ceiling windows, dual courtyards, split "
"Beautifully updated executive home with unmatched water views and hardwoods! Light & bright Michael J. Counter designed home within the gated & guarded community of Fairway Vista. Less than 200 steps to the Four Seasons resort and Sportsclub. 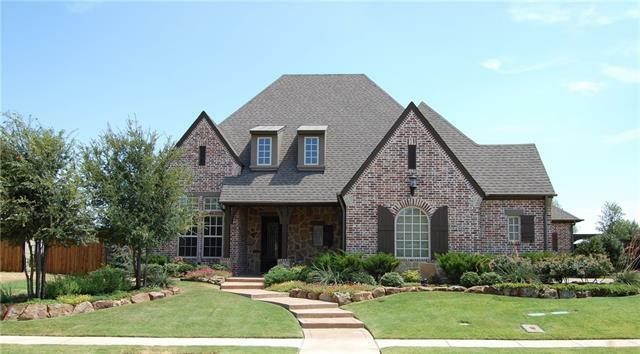 Large beautiful pond & fountain frame all views along the back of this one time model home. Enjoy an open design kitchen, living & dining space downstairs, private study, powder bath & secluded Master suite. 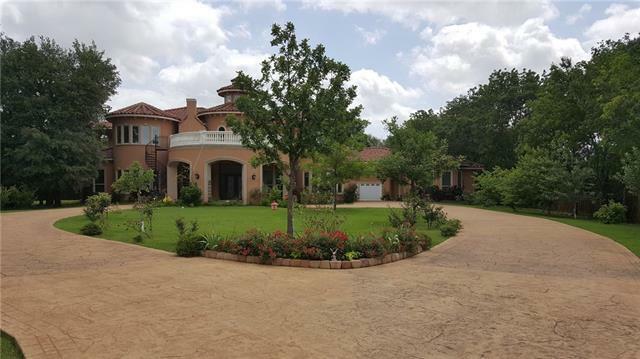 Upstairs are 2 separate bedrooms with individual "
"Pristine single story home on extra large lot in The Lakes of Las Colinas, a premier gated neighborhood. Features include open floor plan, chef's kitchen with all stainless appliances, double oven, butler's pantry and wine fridge. Living room has beautiful built-ins and a corner fireplace with gas logs. Both overlook the stunning backyard with pool, outdoor kitchen & fireplace. Solid hardwood flooring in all living and dining areas, and 3 garage spaces complete this beautiful home. The Lakes of "
"Priced to Sell! 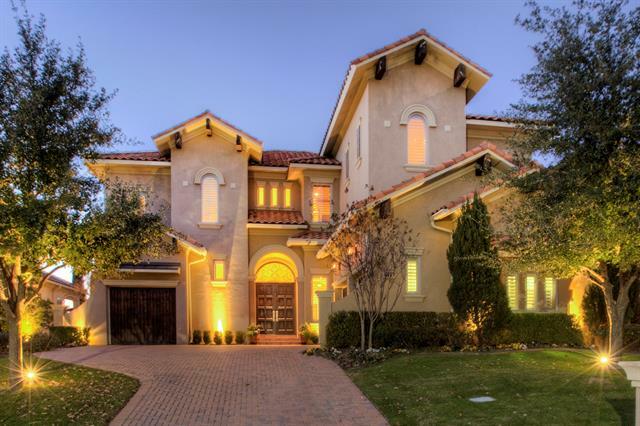 Fantastic home in gated Fox Glen Village on the 14th green of the Las Colinas CC. This home boasts 2 impressive living rooms & Master bedroom w large windows that overlook the sparkling pool & golf course. The high vaulted ceilings add an amazing feel to the whole home w lots of natural light. The Master bedroom is complete w fireplace, access to the pool & a huge Master bathroom w his & hers walk-in closets. You'll love working out of the luxurious Study w vaulted ceiling & wood"
"English country inspired manor with extensive updating and renovations. Three levels which offer a poolside game room and full bath, large yard, newly added media room, travertine, and wood floors, large temp controlled wine cellar. Kitchen totally renovated with 2 islands, professional appliances. Two large Bedrooms on main floor and a 2nd Master on the 2nd floor. Updated game room with wet bar, exotic granite, hardwoods and study nook. Extensive landscape improvements, fountains, fencing. Enha"
"A Mediterranean home built on more than quarter acre land! This stucco home is well maintained, has an attractive floor plan layout which includes open & high ceilings, marble & wood covered floors, 7 surround sound speakers in the LVR & prewired speakers in the MR, crystal chandeliers, kitchen granite counter tops with a large island, stainless steel appliances, 2 tankless water heaters & a new roof as of Dec. 2018. This house has an oversized backyard, custom Gazebo that has a stone built-in B"